As we continue looking at Ephesians, Alex speaks to us about the role of the Holy Spirit. 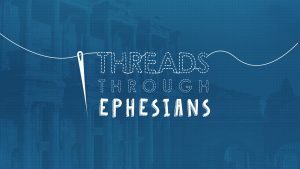 Matthew speaks to us this week as we look at Ephesians 1 & 2. Last week Michael looked at Ephesians 4:17-6:9 with us. He spoke about Submission and what it means to us today.